In the end, this was much like the very first Test match between these two sides, back in December 2001. Then, like now, rain washed away the first two days. And now, like then, New Zealand found a way to win regardless, by an innings to boot. 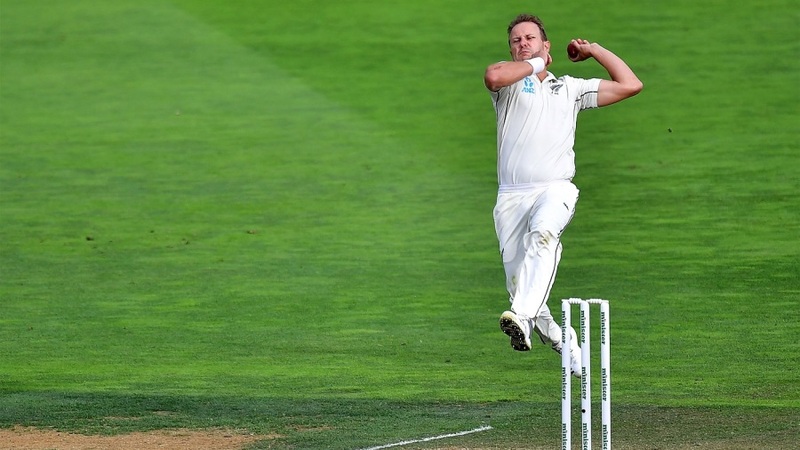 New Zealand began day five needing seven wickets, with Bangladesh trailing by 141. 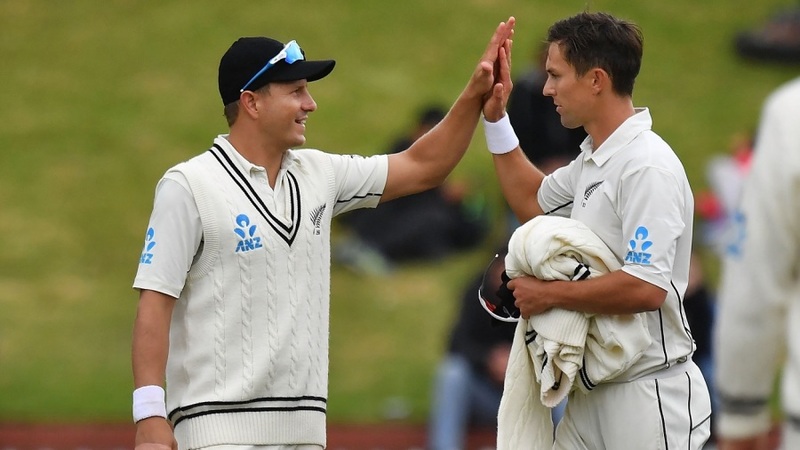 It only took the hosts one session, albeit one extended at both ends, to complete the job, with their left-arm quicks Neil Wagner and Trent Boult leading the way. Wagner was the chief destroyer with the ball on day five, picking up 5 for 37 in a ten-over spell of typically hostile and accurate short-pitched bowling. When he came on, Bangladesh were 116 for 4, having lost only one wicket in the first 14 overs of the day, Boult squaring up Soumya Sarkar with movement and bounce in the corridor. This was after Soumya had added 57 with Mohammad Mithun in a fourth-wicket partnership that seemed to suggest there wasn't too much help in the pitch once the ball lost its initial hardness and shine. Wagner's one-of-a-kind bowling style, however, forces batsmen into a contest that their regular training methods leave them largely unprepared for, regardless of conditions. Fast, left-arm, proficient from over and around the wicket to both right- and left-hand batsmen, peppering the middle of the pitch while creating awkward angles - not to forget setting unusual fields. The closest Test cricket has got to Bodyline in the era of field restrictions behind square on the leg side. Mahmudullah and Mithun pulled and glanced Wagner for four fours in his first three overs, but this was no indication of comfort. In between, they were ducking and swaying, or backing away towards the leg side to manufacture room, and Mithun even took a blow to his chest while hopping across the crease, frozen in indecision between defending and leaving. A wicket always seemed around the corner, and it arrived when Mithun pulled Wagner to a strategically placed backward square-leg in the fourth over of his spell. In his next over, Liton Das departed, miscuing a pull to fine leg. Then it was Taijul Islam's turn, both feet off the ground as he gloved another lifter to silly point. Bangladesh were seven down at that point and still 51 adrift. And with just three bona fide No. 11s left to partner Mahmudullah, defeat seemed only minutes away. Somehow, via a combination of luck and Mahmudullah's skill at farming the strike, Mustafizur Rahman lasted 34 minutes before the returning Boult cleaned him up with a full, straight ball in what would have been the last over before lunch had the wicket not fallen. A 15-minute extension gave Wagner ample time to finish the job. Mahmudullah had clattered him for 31 off 24 with some audacious back-foot shots, including a punched six over point, before he finally mishit a pull, sending it down Boult's throat at fine leg. Then the last and least accomplished of Bangladesh's three No. 11s, Ebadot Hossain, played down the wrong line to a full ball, and with that Wagner had completed his seventh five-wicket haul in Test cricket and achieved career-best match figures of 9 for 73.